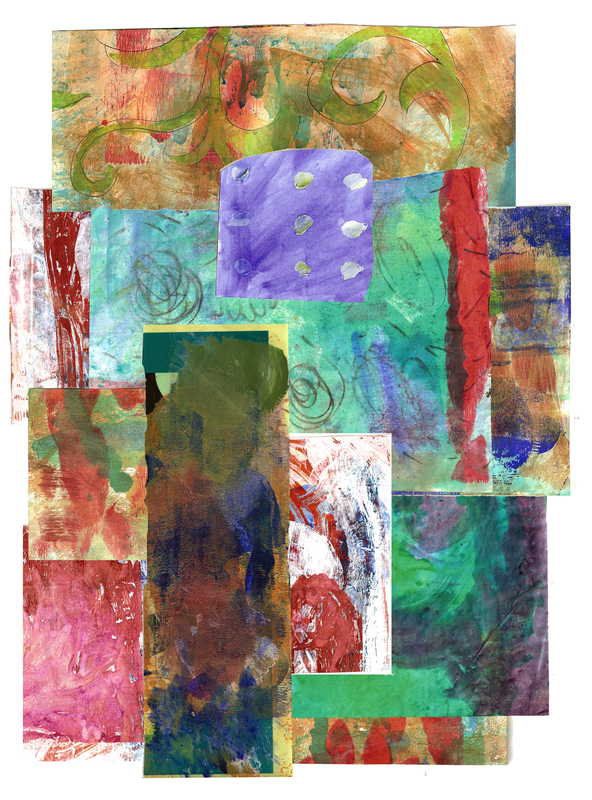 I was waiting for paint to dry, so I made this collage in PhotoShop from pieces of painted collage papers. These pieces are rescued parts of rejected paintings and monotypes, and are in my packets to sell in my Etsy shop but this morning I was looking through the papers and realized I needed to scan them. After all, they could be used for digital backgrounds for more digital collage. So what’s up in your studio today? This is an example of one of the best uses for a grahpics program. I used individual scans of each piece of paper to create this image in layers. There are an infinite number of possible arrangements. Before gluing the papers down permanently, I could already have the design worked out. If I were to make this exact collage, the dimensions would be about 16 x 20 inches. This is so cool!! Double duty from art! Very savvy in these times.